The day was August 30th, 2015. Approximately five million viewers tuned into MTV’s Video Music Awards, when Kanye West announced his supposed plans to run for president in 2020. Fast-forward to the present and months into the most ludicrous presidency to date, the idea of a rapper becoming a president doesn’t seem all too crazy. Make this scenario smaller and it appears more than completely possible for a rapper to become a mayor of a small town in the Bay Area. So begins the plot for THE MAYOR. 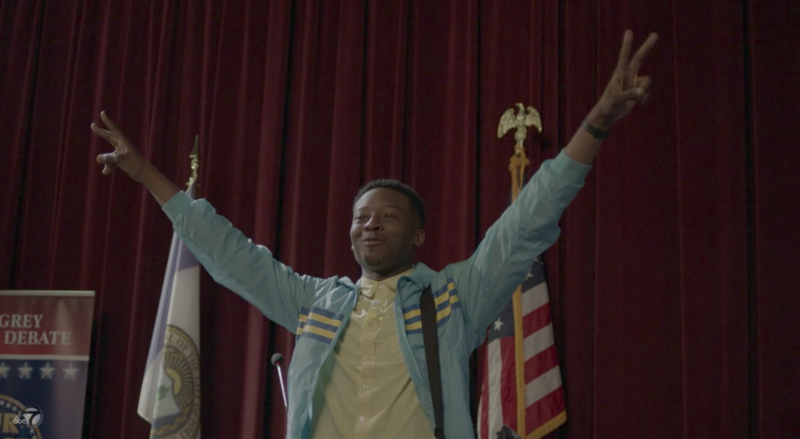 We meet Courtney Rose, a confident, determined, yet struggling rapper in his 20s, who dropped out of college to pursue his rap career and currently lives with his single mother, Dina. Despite Dina’s concern, Courtney runs for mayor of his town, Fort Grey, in order to help promote his new mixtape. Along with the help of his close friends, T.K. and Jermaine, his blunt remarks, and knowledge of the town’s middle/lower class, he wins over debates with ease. But to Courtney’s surprise, he wins the election. Courtney’s first instinct is to turn the position down, but Dina convinces him to take it. His old high school lab partner and rival, Valentina (who is played by a Ryan-Murphy-freed Lea Michele), reluctantly joins his administration. Courtney’s humble beginnings are enjoyable to watch, but the pilot suffers from attempting to convey too much in its 22-minute slot. While the pilot should’ve focused on Courtney winning the Mayor position alone, it attempts to squeeze in Courtney’s attempts to repair his town’s commons. This does provide a way to showcase Courtney’s struggle with balancing his new position and promoting his rap career, but it makes the pilot feel feel choppy and unnatural. This rushed pace ultimately sacrifices the comedy in this pilot as well. All of the one-liners barely have time to breathe, and other jokes seem merely sandwiched between hurried plot points. 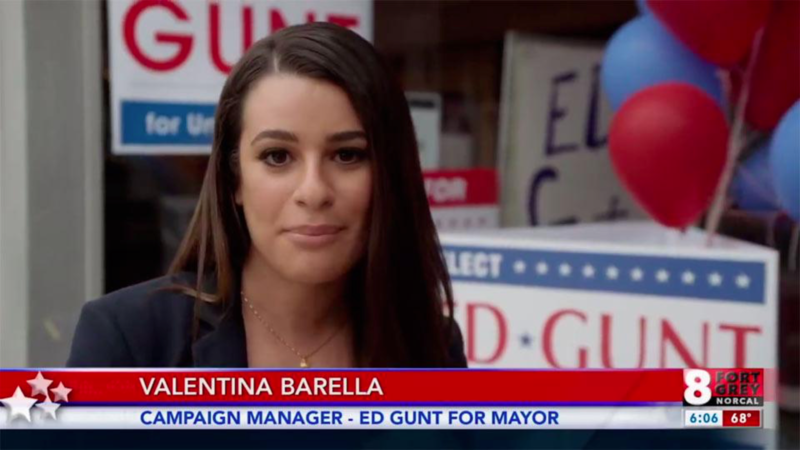 And, as Lea Michele performs best in eccentric, intense characters a la Rachel Berry from GLEE and Hester from SCREAM QUEENS, the more subdued Valentina in THE MAYOR leaves her energy lackluster and her overall performance forgettable. However, the show rescues itself by introducing a strong set of unique, well-developed characters. Courtney and Dina are especially interesting to follow. They form a unique Mother-and-Son bond, as Dina reveals that she was merely a teenager when she had Courtney, and Courtney demonstrates a willingness to always follow her advice. Jermaine and T.K. are entertaining as well through their unique personalities, though they are rarely seen in anything more than brief vignettes. We live in a time when nearly every show revolving around politics serves as commentary for the current erratic presidency. 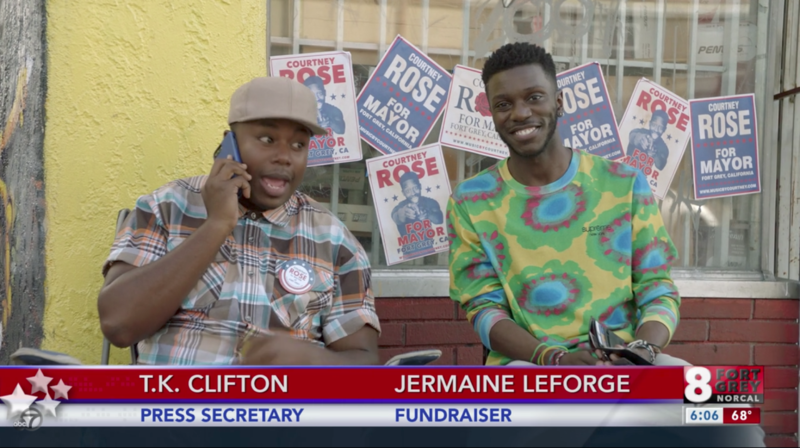 Although THE MAYOR’s showrunner, Jeremy Bronson, insists that the inception of this idea was pre-Trump era, and thus not intended to be a complete satire or commentary of 45, the show does an excellent job of creating a proactive tone that anyone can relate to upon considering the current political sphere. However, as the pilot suffers pitfalls from its barely strung-together plotline, one can only hope that it can pick up the pieces of its pacing as it continues into its later episodes.